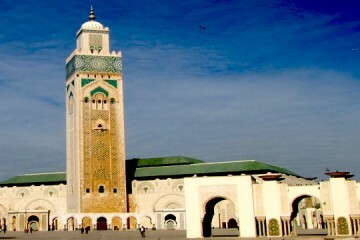 This imposing architectural wonder is the 5th largest mosque in the world and boasts the world’s largest minaret. Construction on the Hassan II Mosque began in 1986, commissioned by King Hassan II (1929-1999) and finished in 1993. An incredible 6,000 craftsmen worked to construct this beautiful mosque and the result is stunning! The Hassan II Mosque has one of the largest prayer rooms in the world and can hold up to 25,000 worshipers inside the building with 80,000 able to pray in the surrounding courtyard. Large windows inside the mosque look out out over the ocean where the building juts out over the Atlantic. A portion of the prayer floor is even made of glass so that worshipers can see the sea below. Beautifully carved wood, incredible detail work and classic Moroccan style – accented by the picturesque setting on the Atlantic Coast – make this excursion a must see. 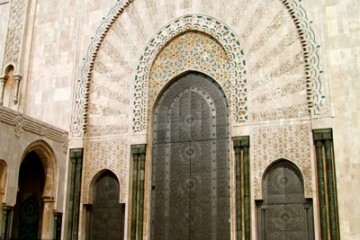 This is one of the only mosques in Morocco that non-muslims may enter. It is an amazing opportunity to experience stunning architecture and a piece of culture that adds tremendous insight into the religious lives of many in Morocco. 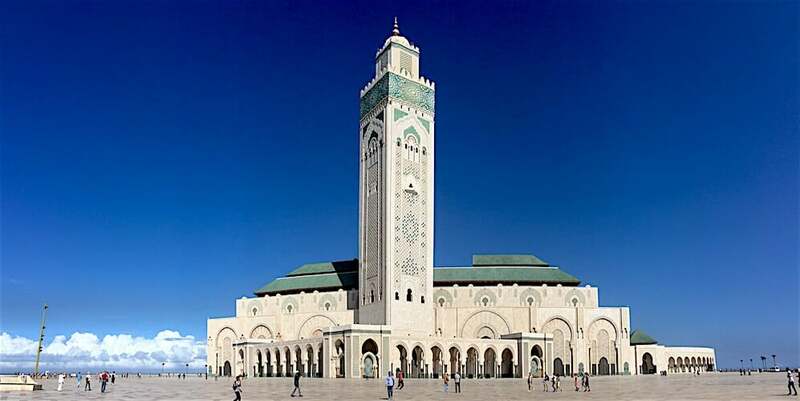 The Hassan II Mosque is generally accessible. The mosque has one small ramp that allows wheelchair access to the main prayer room which is certainly the main attraction to see at the Mosque. The courtyard surrounding the mosque has a few barriers but is overall, generally accessible by wheelchair. The ablution rooms beneath the main prayer room is accessible via stairs only and therefore not accessible by wheelchair. This excursion is approximately 2.5 hours long. Includes driving times, tour, and lunch.